Inspired by an article in ‘Guiding’ magazine I set up a Brownie unit website. Before I started I researched what other Brownie units included on their website. I decided we would have a latest news section, information on badges, a page for each six and a section where we could be contacted. The initial set up of the website took over 6 hours, from designing each webpage, choosing colours and fonts, and writing blurbs about our group, the leaders, the promise and badges. I checked the Brownies forms to ensure they all had permission for photos to be published and included some of these to advertise the type of activities we offer. 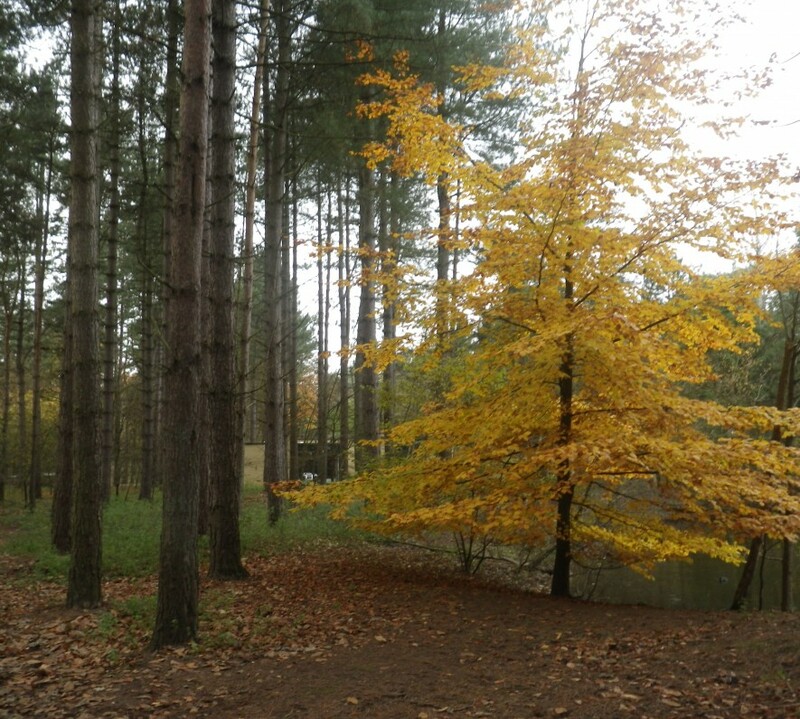 I update the website each week after Brownies to add the latest news, a relevant photo and update the ‘Next week…’ comment. After a Brownie holiday or special project or event I will spend longer writing a more in-depth report. 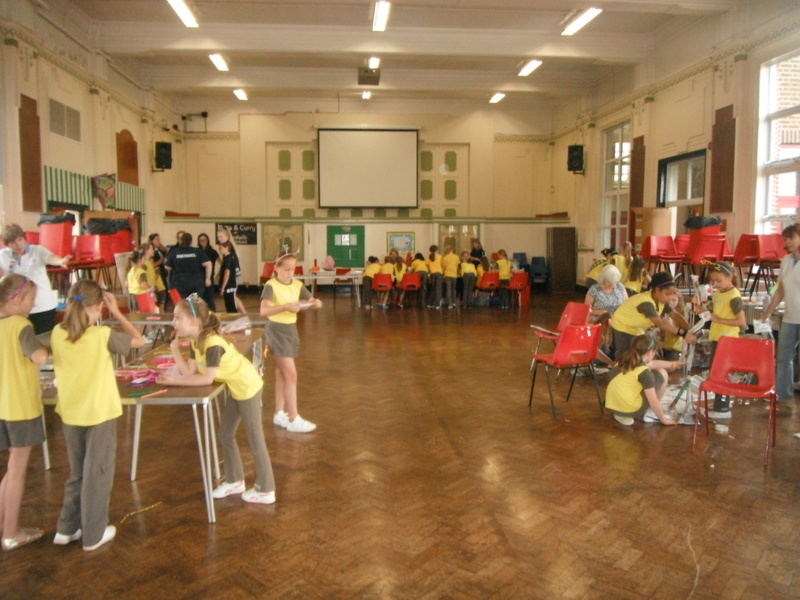 My hope for the website is that it will show the parents what their daughters are doing; will introduce and advertise Brownie groups to prospective new parents and will show those not involved in Guiding the range of activities Brownies can do. After the new brand was launched in February 2013 I read up on the new guidelines and tried to implement this into the unit website. I set all fonts to Trebuchet MS and changed the colours to match the Brownie brand colours. In Spring 2014 I completed the Girlguiding e-learning on our branding and therefore I did a redesign of the entire site. Much of the content remained the same but I edited the design to be clearer and brighter by using blocks of text surrounded by branding colour blocks. I updated the badges page to include a wider range of interest badges the Brownies could complete at home. I included the new Brownie section logo with our localised unit name and added a Girlguiding bubble photo of a couple of our girls to the top bar. I have spent on average 15-20 minutes a week updating the website, so over a school year of 39 weeks this would be about 10 hours. I have been maintaining the website for 3 years, totalling 30 hours. Plus I spent approximately 6 hours setting up the initial website, and at least 3 hours updating the website to meet the new branding guidelines. After completing my first feltie, I took on a few more. Next I attempted the Lion. I realised that making felties with light coloured felt would be difficult as the material became dirtier the more I was touching it. This one also included a tail from thread which was more difficult than it looked. I was unhappy with the outcome of this one. 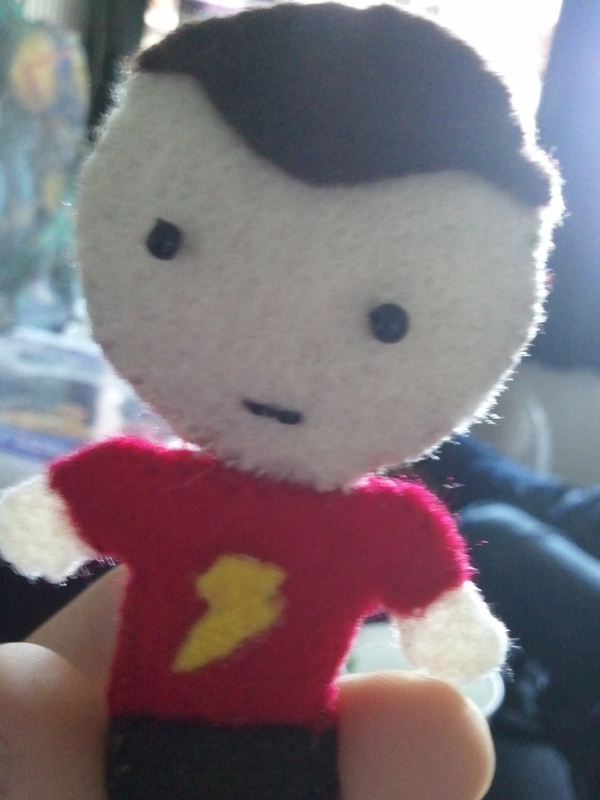 The stitches were wonky and his face is also lopsided. 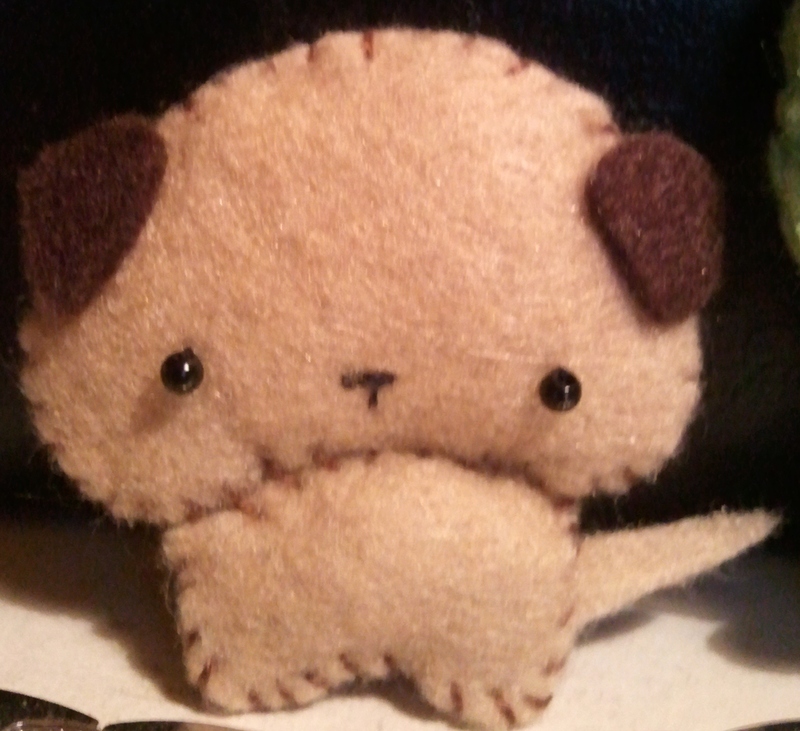 I then tried another dog feltie as I hoped this would be simpler to practice my skills on. From the design in the book his face is supposed to be that shape! I was happier with this feltie. I chose different colours for the rabbit feltie, and adjusted the shape of the arms compared to the pattern. 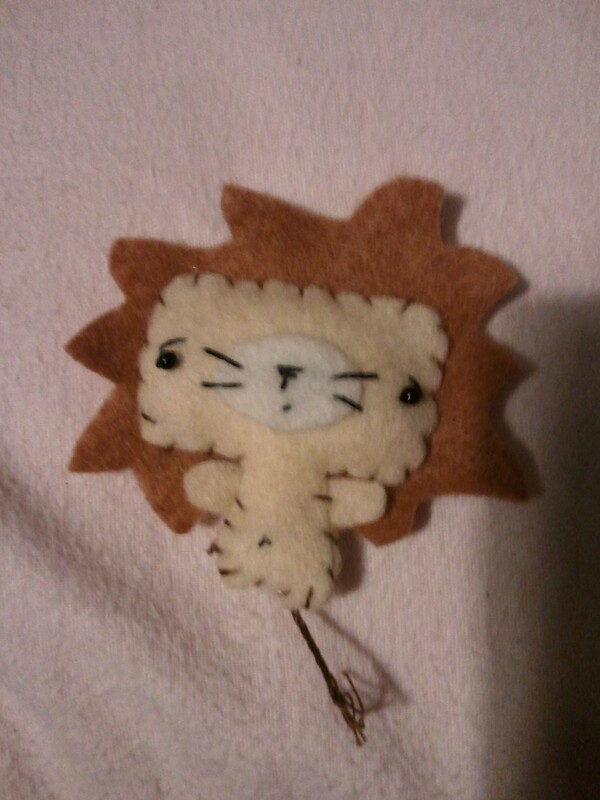 This wasn’t very successful, and I used a plastic button to try and mask my least favourite feltie. However, I do like the design of the eyes. 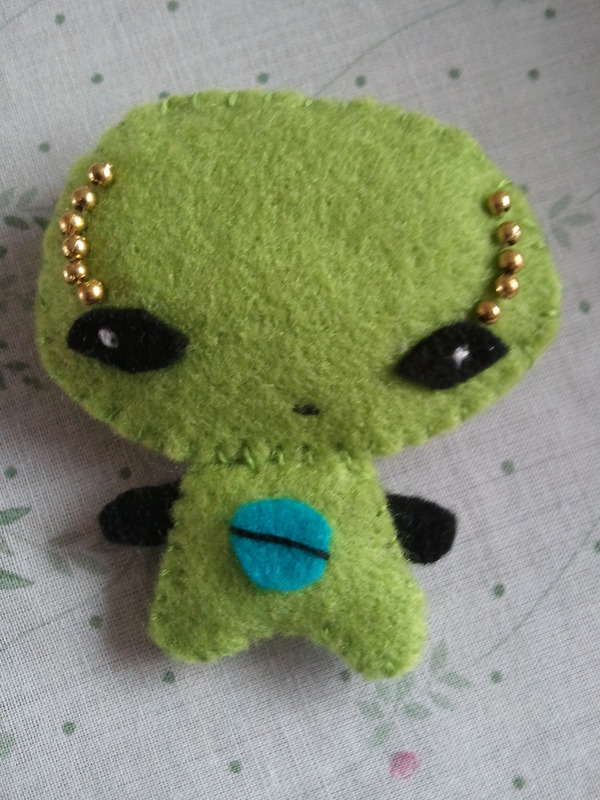 Next I challenged myself with the alien feltie. The trickiest part of this one was lining up the beads above his eyes in a curve. This took a lot of time and patience. 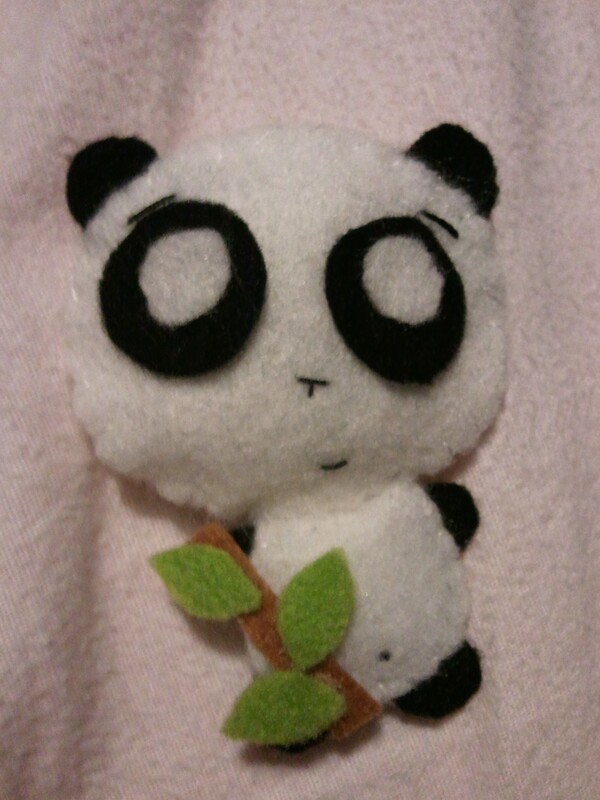 I enjoyed making the Panda feltie, though this one involved lots of small pieces. It also contained more stitched features. I then tried my own design, based on the Hello Kitty character. Using what I learnt I designed a bow with a stitched detail. 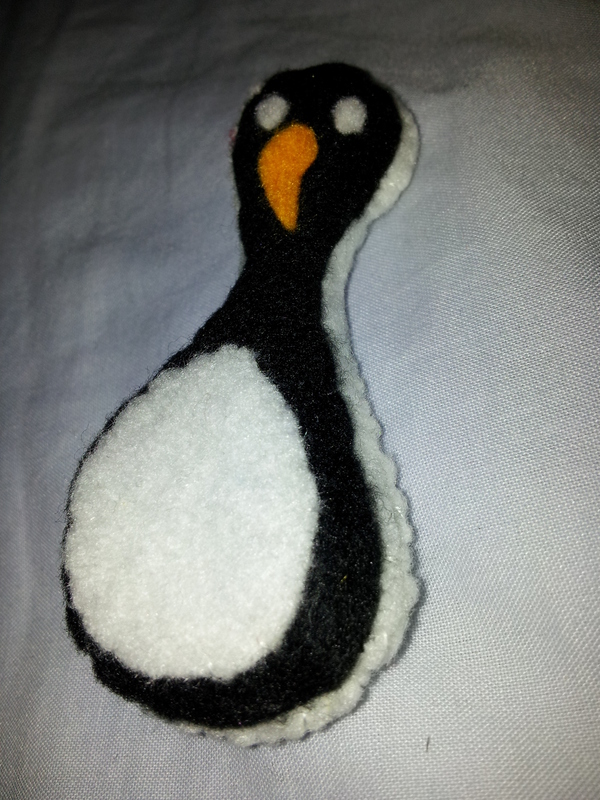 Choosing a completely different design, I created a penguin inspired by some felt Christmas decorations I had seen. This involving stitching different colour felt on top of each other on top of a white border. My next custom design was a human feltie. The problems I faced with this was that stitching the hair to the head meant having white thread on brown felt, which stands out quite a bit. I also realised that shoulders are not aesthetically pleasing. My final custom design brought together some techniques I’d learned from previous fealties. 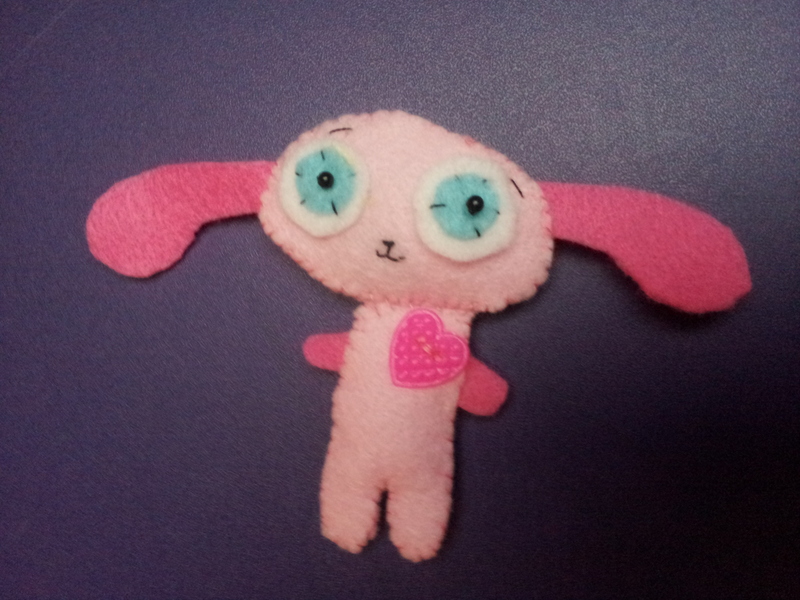 I liked the eyes from the rabbit, so chose these to make this human feltie look cute compared to the previous one. I also based the body type more on the animal characters by ignoring shoulders. 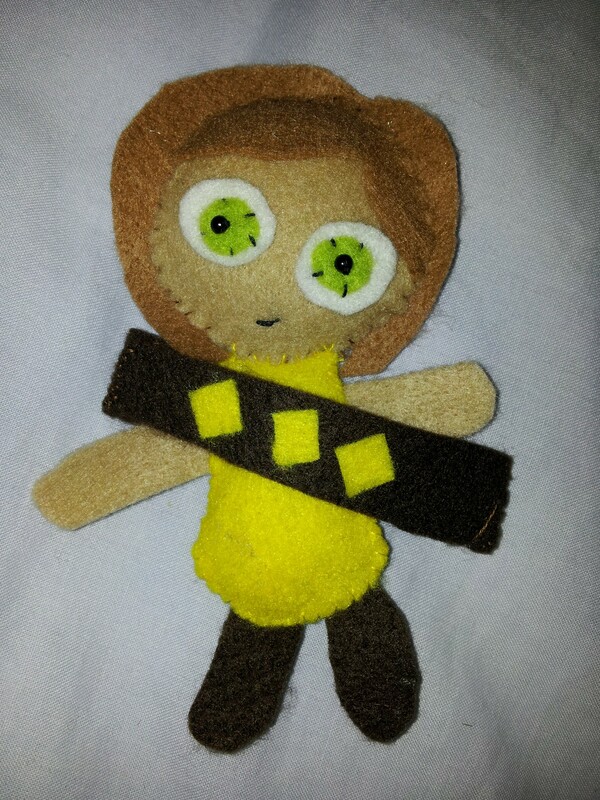 Adding the sash was a last minute decision, but I think this helps distinguish her as a Brownie. When I first started my ALQ it was difficult to find time to complete the clauses and therefore it took about a year and a half to complete. This training gave me my first opportunities to try running activities, and eventually whole meetings with the Brownies. One of my first activities was a ’Smartie’ quiz night. I had planned for 4 of each colour Smartie to be in the tube, as each colour related to a different category, and only as we played the quiz did I realise I had been using the wrong tube. We worked through it and the evening was quite successful. I found it interesting to work with the girls individually, and gave me the chance to see how I could assist on a one to one basis to help improve their confidence. This training introduced me to the five essentials, which I still check our programme for. I led a few planning sessions with the Brownies during this time and tried out different ways of getting the girls to decide on activities. While asking all the girls while sat in a circle is good if the entire group are confident, but I prefer to ask the Sixes to come up with lists that are brought together as it gives quieter girls the chance to contribute. Part of my training was to attend a First Response course, which I completed in February 2011 and have since completed a refresher course too. First aid was an area I knew little on, but was important for me to learn and keep up to date with. I completed my Adult Leadership Qualification on 14th May 2011 with my final clause being the training for the age group I would be working with. At the end of the training I took my book to the appropriate guider, who then called for quiet in the room so everyone could congratulate me! I was so glad to finish and be an official leader. With input from our District Commissioner I started planning an afternoon event to be enjoyed by the 4 Brownie groups in our district, a Big Brownie Birthday Star Quest. I spent a lot of time researching possible activities, finding out what other districts, divisions and counties were doing. I settled on one activity from each of the past, present and future zones, and created a forth zone ‘Challenge’. The 3rd and 4th Guides helped with the event by running Go For It activities for our Future zone. I prepared the other three zones, there was a range of carnival games, which included making a bean bag toss game, collecting and decorating glass bottles for the hoopla and making a target golf game. I spent time finding cheap headbands and pipe cleaners to make effective, glittery star bopper headbands, each Brownie and leader were wearing one by the end of the afternoon. I also sourced materials for the newspaper tower competition, which included making colourful flags so the Brownies could identity which was theirs and the winners could be decided. I also spent a lot of time checking the budget as each unit paid £25 for the event, and £60 of this went to the venue. I also wrote emails to keep other leaders informed and created decorations. It was a lot of hard work but was worth it to see so many girls enjoying themselves and trying new things together.